Bears Mailbag - How Should Bears Improve Their Roster? 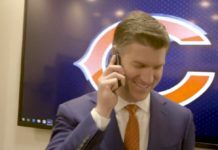 Bears Mailbag – How Should Bears Improve Their Roster? I will die on the following hill: The 2018 Chicago Bears are better than every team that played on NFC Divisional weekend and the Bears should’ve been playing for the NFC title this coming Sunday if it weren’t for a certain kicker and some damn doinks. I’m not bitter. Do I sound bitter? Anyway, as we await some nonetheless exciting football games this weekend, I’m bringing back our Bears Mailbag as Chicago heads into an early offseason as a way to distract myself from the pain … I mean, to engage with you, our dear readers! So, without further ado, welcome back to the Bears Mailbag. Let’s get started; and, as always, I appreciate your participation! If you want to continue the conversation, follow me on Twitter @DhruvKoul. I don’t think we need to argue too long to determine what position the Bears need the most help at. 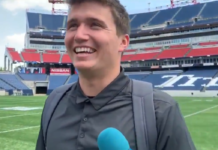 Kicker is the Bears’ biggest weakness (which is a testament to the amazing job Ryan Pace has done building this roster), and he confirmed in his press conference that the Bears will add competition here. Cutting Cody Parkey and replacing him with Robbie Gould sounds great, in theory. But that’s not likely to happen. I’d imagine San Francisco wouldn’t want to let Gould go. 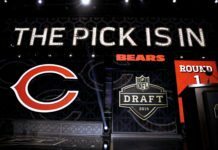 The Bears will likely need to bring in competition through regular free agency, late draft picks, or undrafted free agency. And in my opinion, it should be a competition that doesn’t involve Parkey. As far as depth goes, the Bears should look to add some depth at TE, RB, EDGE, OL and CB. Dion Sims is a certain cut candidate. With Jordan Howard’s future uncertain, the Bears will need to explore improving the RB depth chart (even though I’m a noted Howard fan — see the final question in the Mailbag). 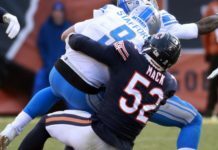 Aaron Lynch is a free agent and the depth outside of Khalil Mack and Leonard Floyd is … bad at the moment. Bobby Massie is a free agent and Kyle Long isn’t dependably healthy. 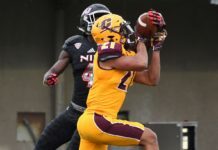 And with Bryce Callahan a free agent and Prince Amukamara going into the last year of guaranteed money on his deal, the Bears can certainly stand to improve depth at CB as well. It’s difficult to point out target names right now because we need to see who from other teams will be released and what the Combine results will be for draft picks (I don’t care about the Combine much at all, but it does seem to make a difference to NFL teams). We can revisit this a bit later in the offseason and come up with a target list of names. Don’t rule out the Bears bringing back some of their to-be free agents, but the Bears can likely stand to add depth to all of those positions anyway. 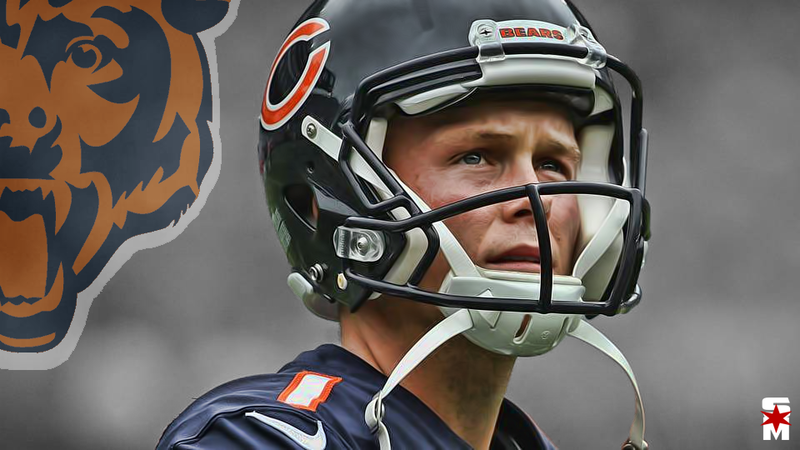 During the off-season, what does Mitch need to work on the most to keep improving as a QB for year 2 under Nagy? In general, I saw a lot of growth from Mitch Trubisky in his second overall season and first under Matt Nagy. His first three weeks were dreadful and I had legitimate concerns about him regressing. But he rebounded and performed above average in my eyes for the year, including displaying a knack for the clutch throw/drive throughout the year. But he certainly left a lot to be desired. First, I think it’s obvious that he needs to become more consistent. I graded his games on a weekly basis, and started publishing them towards the later part of the year. He had some very good games (vs. Tampa Bay, vs. New York Jets, vs. Detroit, @ Minnesota, vs. Green Bay) and some total clunkers (@ Green Bay, vs. Seattle, @ Arizona, vs. Minnesota, vs. LA Rams). And then he had games were he did a lot of good AND a lot of bad in the same game (vs. New England, @ San Francisco). He just didn’t have enough “decently consistent” performances — the only one I can really think of is the game at Buffalo which was over early in the second quarter. So that’s an area where he needs to improve — just limiting the crazy variation in his performances. The Bears play a first-place schedule next year, so they need him to be dependable. His footwork and balance are issues that still contribute to his accuracy problems. Trubisky was nationally criticized often this year for missing numerous open throws and receivers downfield this year due to his inability to set his feet and deliver a balanced throw consistently. He improved as the year went on, but it has to get even better; otherwise the offense will continue to keep leaving big plays on the field. He also needs to improve reading defenses. Teams did a very good job confusing him early on in the year by playing a lot more zone than they’d shown on tape, and it was clear he struggled to adjust for some time. He’d even admit that openly in post-game press conferences. Only toward the end of the year did his checks and audibles seem to create more consistent wins for the offense. And I still think he can improve in going through his progressions. He did a better job keeping his eyes downfield and delivering throws as he scrambled and/or as pressure was in his face, but a lot of times he locked on a target and didn’t get off his first read. That can’t continue to happen. 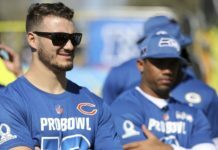 Trubisky showed me enough this year to legitimately believe he still has the ability to grow and has a good chance to succeed in the NFL — he just has to put it all together next year. Jordan Howard is still a very good running back and an excellent runner who showed marked improvement in details such as pass blocking and catching the football. He proved in his first two seasons that he has exceptional vision, balance, and the ability to break tackles and wear down a defense. The issue for him this year was the scheme and the offensive line’s ability to block it well enough for him. It definitely improved as the year went on and we saw Howard have much more success running the ball in some of their big wins toward the end of the season. He broke 100 yards rushing against the Rams and ran the ball very effectively against the Packers and Vikings as well. I think the other issue was the play-calling — Howard is someone who gets better as he gets into a rhythm. With the way Nagy likes to employ his running backs — rotating them and having them do a bunch of different things in different formations — it messed with his ability to get into that rhythm he seeks. People may say that perhaps that truly does not make him a fit for this scheme, but IMO he still has value for the Bears and should be regarded as a great running back. Because he is. It’s Matt Nagy’s job to find better situations for Howard to succeed in.